If you’re looking for a new Christmas family tradition to start with your kids, may I present The 12 Days of Christmas Books! 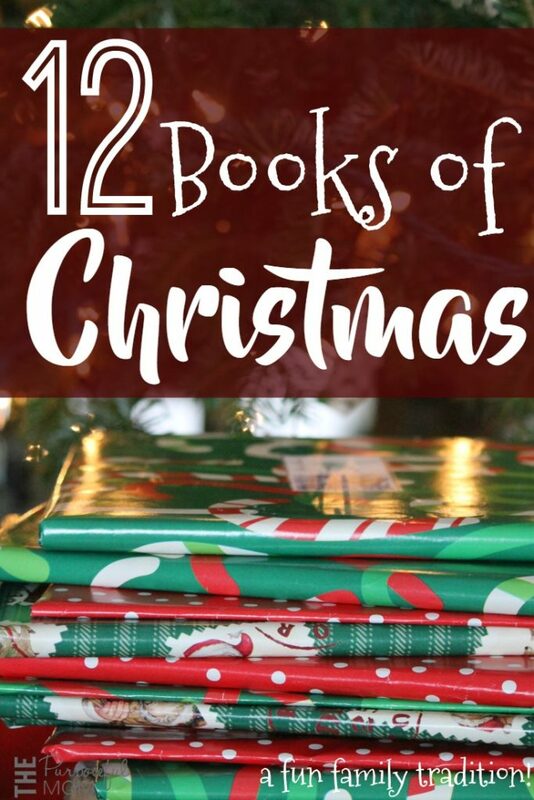 I’ve seen several ideas for 25 days of Christmas books but I didn’t have enough time to gather that many Christmas themed books, so I decided to do 12 instead! Here’s how you can start this tradition in your home! 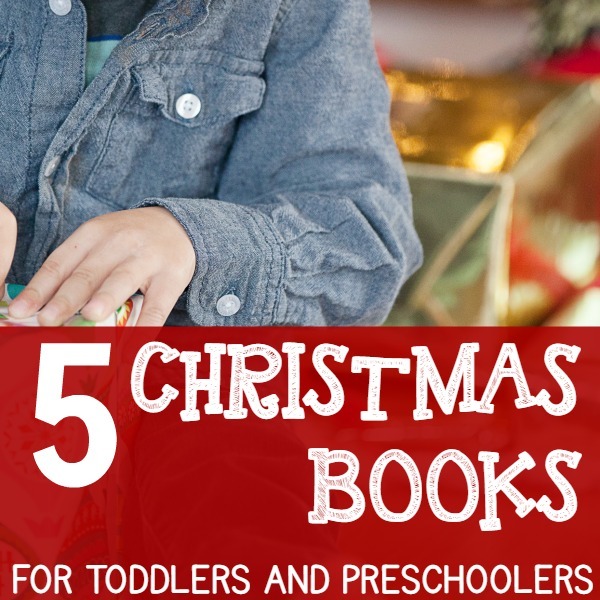 It’s super fun and my kids are really looking forward to opening one book each day leading up the Christmas Day! 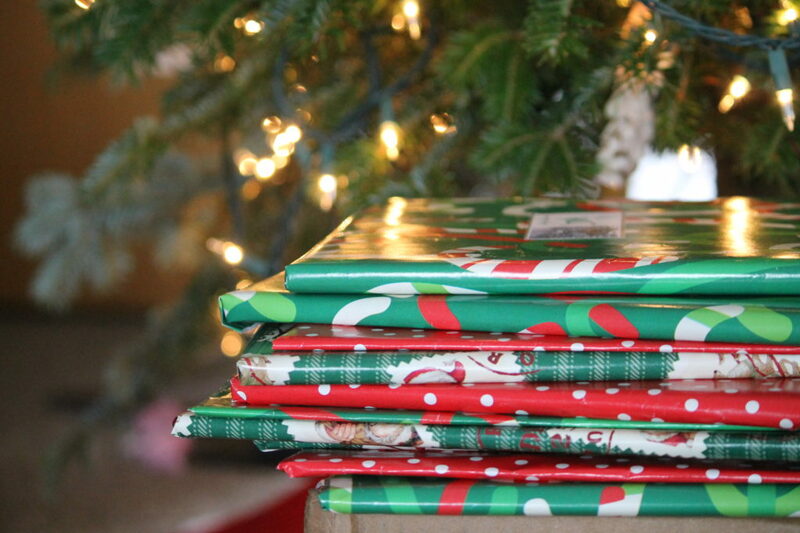 Choose 12 books that have an Advent or Christmas theme and wrap them in festive paper. Choose books that fit your kids’ age level, you could do this separately for older and younger kids if you’d like! don’t remember which ones we have) and also borrowed some from the library. **You can easily order a few even now off of Amazon Prime and have them in time for your last few days of books! This year, I’m just trying one set of books with my kids ages 10, 8, 5 and 3. A great way to get your older kids involved in this tradition is to have them read some of the books to their younger siblings! Label your packages with “Day 1, Day 2, etc” leading up to Christmas Eve (or you can include Christmas Day as well)! Then each day, you just unwrap a book and read it aloud. Here is a video I made showing you the books we are using this year. There are a few more that we’re not using that I suggested in the list below the video! I hope you enjoy starting this tradition with your family! Moms, dads, grandparents and daycare providers can all do this! 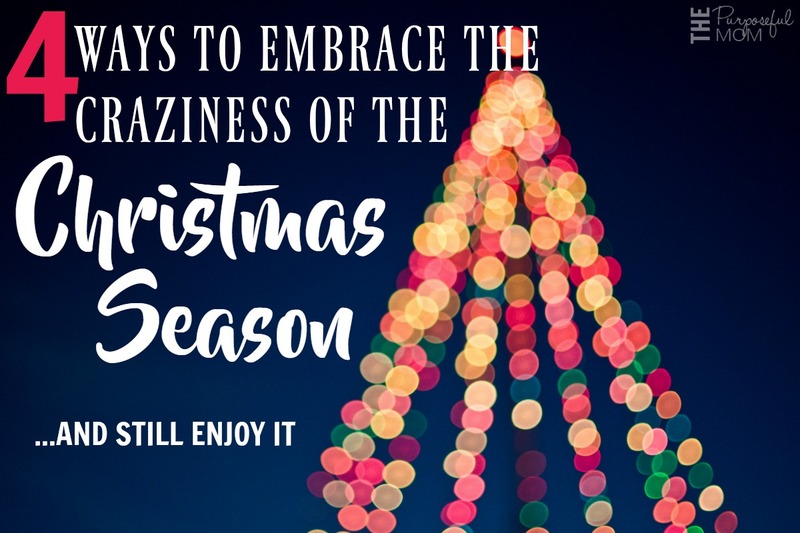 I think it’s a really fun way to get our kids excited about Christmas plus promote a love of reading and remind them of the true meaning of this season too. Merry Christmas! 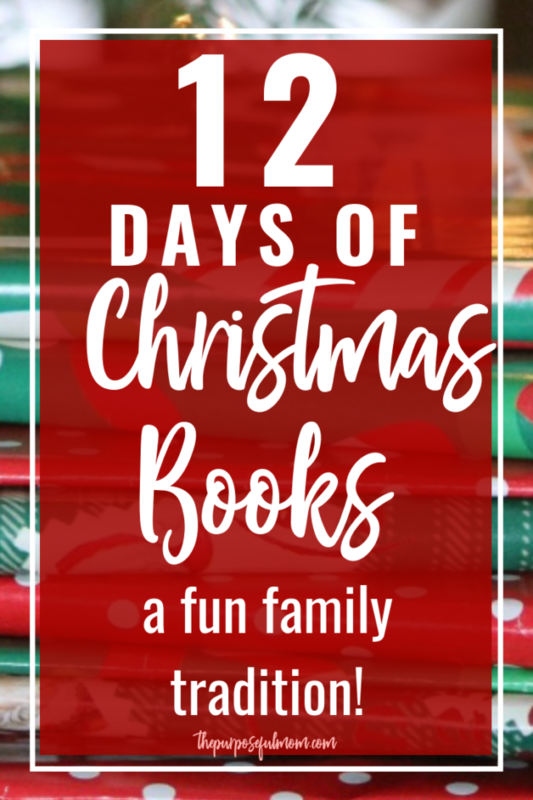 6 Comments on 12 Days of Christmas Books – How to Start This Christmas Family Tradition! I did this last year, 25 books and movies. I wrapped them in January, and by December, I was as excited about opening them as my son! I need to do that again when I pack them away after Christmas this year ! I did this with my 2 year old this past Christmas. It was way more successful that I could have imagined! He was so excited for bedtime each night. I would definitely recommend it.